Ambassdor Andreas Papastavrou is the Head of the Greek Permanent Representation in the EU. 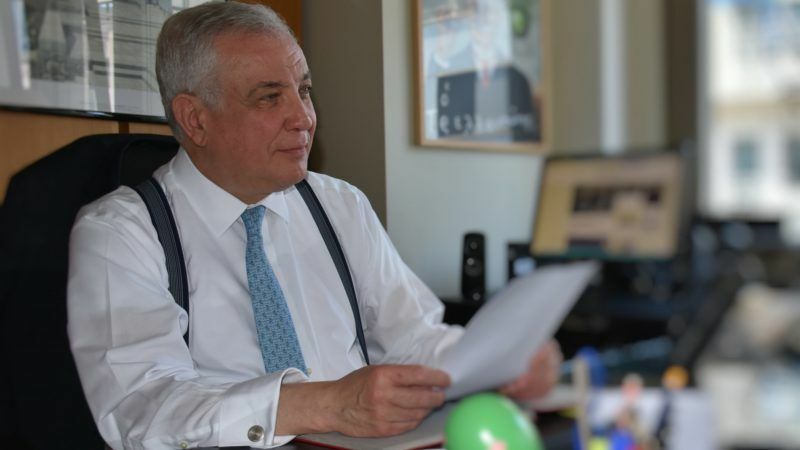 He spoke to Sarantis Michalopoulos in response to a recent interview to EURACTIV by Turkey’s Ambassador to the EU, Faruk Kaymakcı, in which he raised several issues related to Greece. 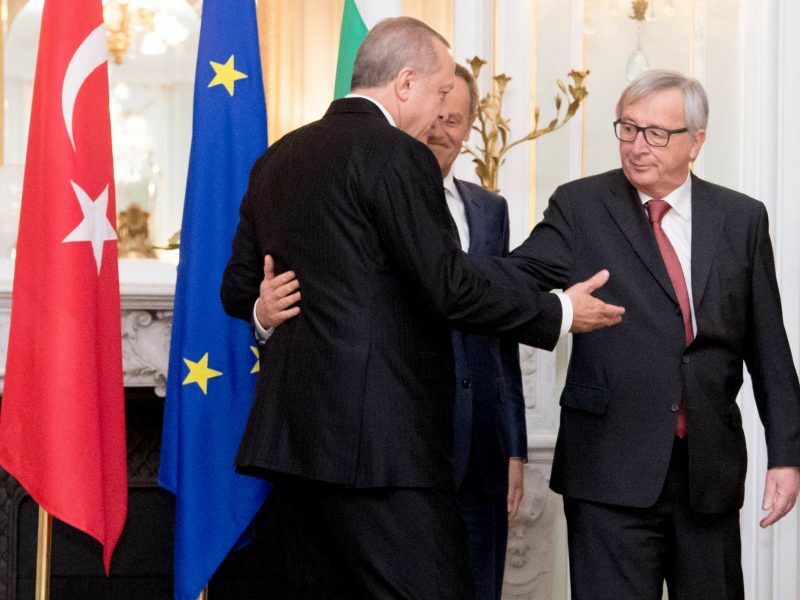 Several EU officials, including European Commissioner Johannes Hahn, have said that Turkey is moving rapidly away from the path of EU membership. On the other hand, Ankara says the EU is using its progress reports against it in order to show solidarity with Greece. What’s your comment on that? A careful reading of all the texts that encompass the framework and the fundamental basis of Turkey’s European perspective, as well as of EU-Turkey relations, reveals a different picture. It is clear that the progress of Turkey on its European path is being measured against specific requirements. These requirements include, to highlight only a few, the unequivocal commitment to good neighbourly relations, the undertaking to resolve any outstanding border issue peacefully, the respect of international law, including the Law of the Sea and the sovereign rights of all member states, the continued support for efforts to achieve a comprehensive settlement of the Cyprus problem within the UN framework, the normalization of bilateral relations with Cyprus, and the non-discriminatory implementation of the Additional Protocol. It is in this context, on the basis of specific facts, the EU institutions assess whether Turkey is delivering or not. Unfortunately, the outcome of this assessment has not been a positive one. Let there be no doubt that there is no escape or derogation from these requirements and, therefore, approaching the process as if everything were negotiable, is futile. Turkey is a candidate country and the established conditionality is valid. Moreover, it has been made clear that also the development of intensified cooperation on the broad spectrum of EU-Turkey relations presupposes the fulfilment of specific criteria and conditions, as stated previously. 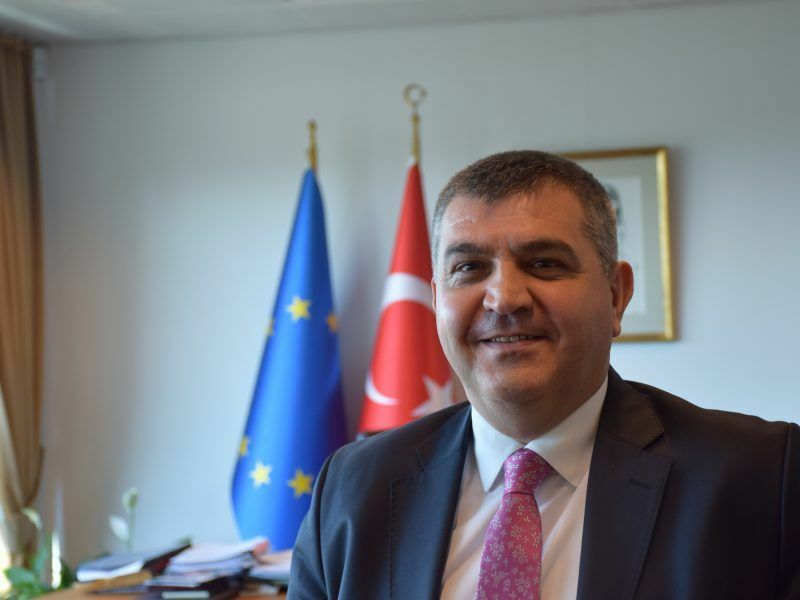 In a recent interview with EURACTIV.com, Turkey’s ambassador to the EU, Faruk Kaymakcı, argued that Greece was provoking Turkey and that tension in the Aegean Sea was being caused by Greece. Again, a careful assessment of the facts becomes necessary. Turkey threatens us with war, in case we exercise our rights, which derive from the international law and the Law of the Sea. One could hardly argue that any threat, let alone war threats, could be in conformity with the UN principles, the international law and the values upon which the EU is founded. The same goes for aggressive actions like the ramming of a Hellenic Coast Guard vessel by a Turkish patrol boat, within Greek territorial waters. Furthermore, Turkey is casting doubts over the Treaty of Lausanne, causing, naturally, controversy and grave concern not only in Greece but also in the entire region and worldwide. How could it be different, when the Treaty that put an end to World War I, settled numerous crucial issues and defined the borders in the region is being disputed? Ambassador Kaymakci also wondered what is the point of putting flowers on a rock [Imia islands], hinting that with this move, Athens is provoking Ankara. In Greece, as elsewhere, we pay tribute to soldiers who died in the line of duty by laying flowers and wreaths. We lost three good men in 1996. An act of tribute to their memory has no other motives and should not be regarded otherwise. Turkey openly disputes Greece’s sovereignty over Imia by saying that the delimitation has not been made between the two countries. What is Athens’ response? Is it a matter for discussion? When it comes to sovereignty, there is no doubt. There are solid “titles of deeds”, the Treaty of Lausanne in 1923, the Treaty of Paris in 1947 and the agreements of 1932 between Italy and Turkey. The aforementioned Peace Treaties encompass accurately the lessons learnt from two World Wars and consolidate peace. Nevertheless, certain earlier and recent events should not become barriers that prevent us from acknowledging the potential of a fair and honest rapprochement between Greece and Turkey, based on the recognition of the rules and principles of international law, such as pacta sunt servanda. Turkey has strongly criticised the EU for politicising the issue of the two Greek soldiers. It has also said that following the coup attempt, many cases have taken more time than expected, not only about those two soldiers. Do you agree with the EU approach on the issue? First of all, I would like to recall that Greece immediately, strongly and unequivocally condemned the attempted July 2016 coup. With regard to the two Greek officers, we should bear in mind that in the past such incidents were routinely and swiftly resolved, using standard expeditious procedures. It seems, therefore, extremely unfortunate that the Greek officers were arrested at a moment when the situation with the rule of law in Turkey is being heavily criticised. At the same time, I strongly disagree with the argument that the issue has been politicised by the EU. The “politicisation” came as a result of an attempt to entangle the issue with other situations, completely dissimilar to it. Then, the EU reacted rightfully. Greece will continue striving for the release of the two Greek officers and hopes that Turkey will prove Cassandra [a prophet from Greek mythology] wrong, abide by international law and practice and, after all, act as a friend and ally is expected to do. For us, the support of Turkey’s European perspective has been a strategic choice. We continue to believe that this is the only way to help Turkey remain firmly anchored on the EU. It is also true that we are at a critical juncture. Of course, it is up to Turkey to decide which way it will go. However, a Turkey that respects the rule of law, human rights, good neighbourly relations and international law, including the Law of the Sea, should be encouraged in its European perspective.